You are at:Home»Equity ETFs»Are High-Flying Gold ETFs Ready for a Pullback? Well, maybe. Year-to-date it has been, no pun intended, fools gold betting against gold and gold miners exchange traded products such as the VanEck Vectors Gold Miners ETF (NYSEArca: GDX) and the VanEck Vectors Gold Miners ETF (NYSEArca: GDXJ). Gold miners currently trade at about a 59% discount to gold prices since 2009, have a price-to-book value of 1.0x and an average dividend yield of 2.8%, which makes the sector look attractive from a valuation standpoint. 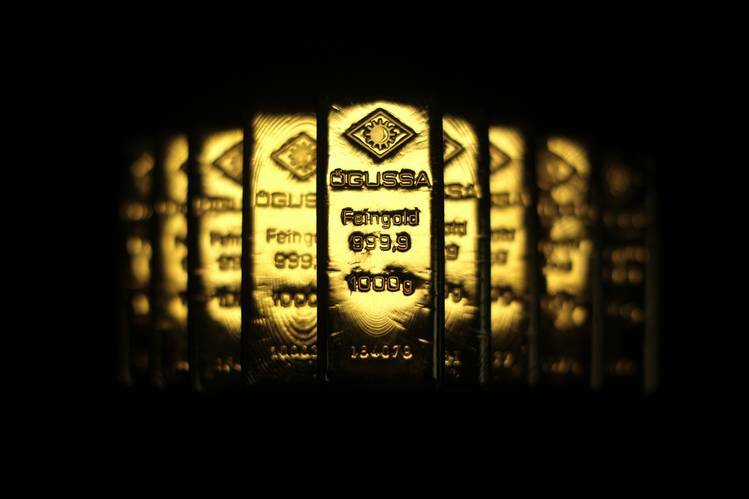 Moreover, U.S. economic weakness and speculation of the Federal Reserve pushing back on another interest rate hike have contributed to a depreciating U.S. dollar, which has also helped support USD-denominated gold bullion. Consequently, a weaker USD makes alternative assets like metals more attractive. Supporting the downtrodden sector, the U.S. dollar has quickly weakened. The greenback is being weighed down on speculation that ongoing uncertainty may force the Federal Reserve to refrain from hiking interest rates in the near future. Consequently, a weaker USD makes alternative assets like metals more attractive.